Sir Chris Hoy will join the cyclists on the Edinburgh City Sky Ride which is taking place on 8 September 2012. The Reporter went on the Sky Ride last Sunday out to Hopetoun and back which was really well organised and a lot of fun with like-minded people. We were taught a lot about cycle safety during the ride led by qualified officials. A week on Saturday however the cyclists will concentrate on a circular route in the city itself including the Innocent Railway Tunnel. The roads will be closed to traffic from morning till mid-afternoon and the route is only 10km so should be a good opportunity for families as well as serious cyclists! Here is the route and you can join in the ride by registering on the Sky Ride website. That was the Fringe that was. But the Edinburgh International Festival continues till Sunday when will stop with a bang at the Virgin Money Fireworks Concert. Tonight at Festival Square there is a treat in store. There will be a special one-off showing on the BBC Big Screen in Festival Square, Edinburgh, of films giving unique insights into the Edinburgh International Festival. Conceived and sponsored by Standard Life, Festival backstage offers rarely seen insights into the people and stories behind the Festival. These can be enjoyed by everyone through a series of online films produced by students at Edinburgh Napier University. Scotland’s fabulous violinist Nicola Benedetti, one of the hottest young stars in opera Sophie Bevan, and commentator Kirsty Wark are just a few of the world-leading cultural figures starring in the films. Tonight from 7pm passers by can enjoy the films on the BBC Big Screen in Festival Square. In other Festival backstage films David Greig enthuses about the excitement of live theatre, Fiona Hyslop talks about the Festival’s place in the cultural landscape of Scotland, and Chris Fujiwara shares his insights on the use of music from films in live theatre. Films set to appear in the final week of the Festival include a day in life of Festival Director Jonathan Mills and a look at the Festival’s education programme when Festival 2012 sensations, the Deborah Colker Dance Company gave dance workshops in primary and secondary schools across the city. Until they find more permanent accommodation the Green Investment Bank under the chairmanship of Lord Robert Smith will be temporarily accommodated in Waverley Court on Market Street in the Council HQ, although Scotland on Sunday reported that the permanent HQ for the new bank will be at Atria Court next to the EICC. Space for around 10 staff in the Council’s offices at Waverley Court was identified during ongoing work to make more efficient use of its properties, and the first few staff members have already taken up post in the building. The bank still has to recruit non-executive directors and a Chief Executive. 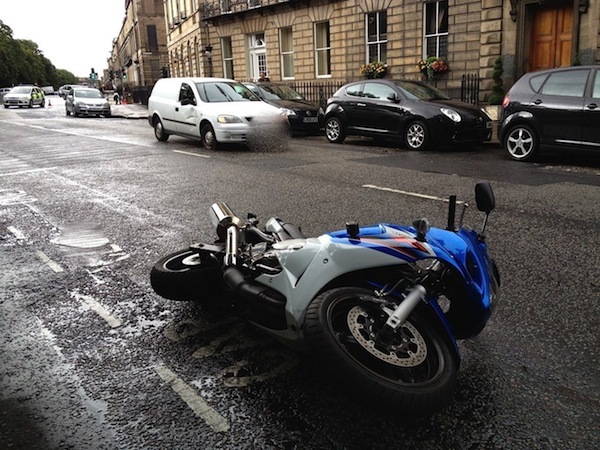 There was a collision yesterday afternoon in Abercromby Place between a white van and a motorcycle, and the road was closed for a time to allow the ambulance service to attend the injured parties. There is increased traffic in this area as Heriot Row, Abercromby Place and Albany Street are being used as a diversion route for traffic while tram works have closed York Place and Princes Street. At the recent New Town Community Council meeting the council transport officials confirmed that the traffic monitoring equipment showed that traffic moves at an average speed of 23 mph along Albany Street. There were discussions at the meeting of introducing an advisory 20mph in the area by painting that speed on the road surface, although it was admitted that it would take much longer to formally introduce a new lower speed limit. 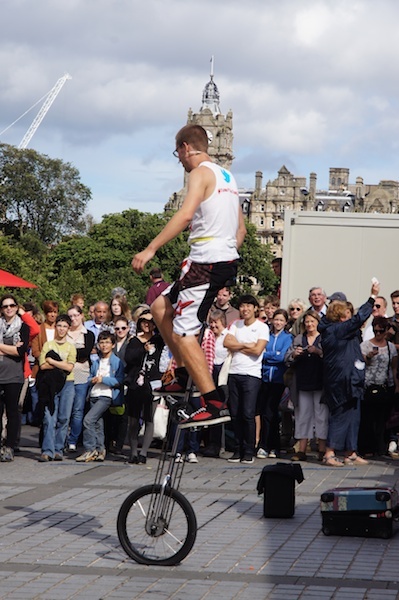 Edinburgh International Festival Fringe has issued figures showing a slight downturn on ticket sales from last year. In 2012 an estimated 1,857,202 tickets were issued compared to 1,877,119 tickets issued in 2011. Chief Executive of the Edinburgh Festival Fringe Society Kath M Mainland announced that the Board of the Edinburgh Festival Fringe Society has elected Professor Sir Timothy O’Shea, Principal and Vice Chancellor of the University of Edinburgh as their new Chair to take over from Baroness Smith of Gilmorehill who stood down after 17 years in the role.